Here at Dot Marketing, we utilize the latest technologies and best practices to fulfill our customer’s needs through creative services. 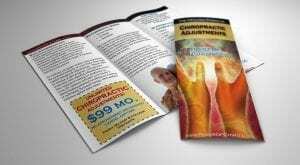 We provide logo and brand services, graphic design, and photography. 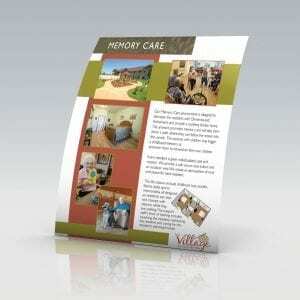 Think of your brochure as a website in print with not as much content. 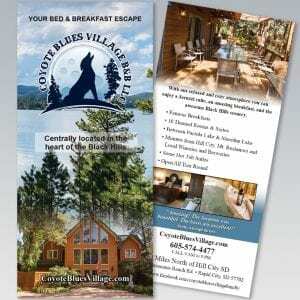 Brochures are useful for trade shows, welcome packets, and sales aids to name a few. 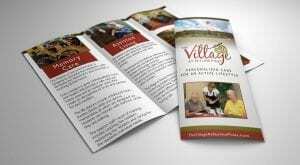 We can assist in the design and print of your brochure. 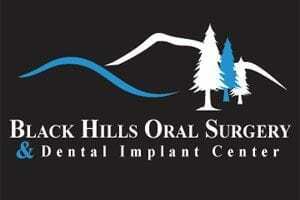 We will guide you through the entire process if you’re unsure about what content to display. 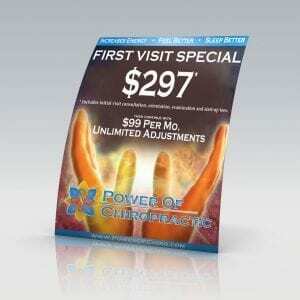 Sales and promotions many times utilize flyers. 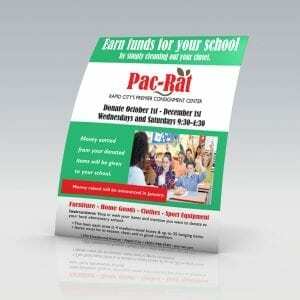 We can assist in the design and printing of your flyers. 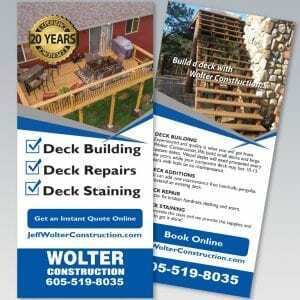 Almost any business can benefit from a rack card. 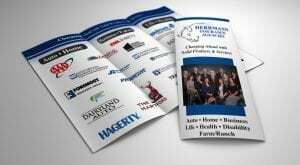 They provide your business with a simple information piece for tradeshows, leave behinds, lobbies and showrooms. 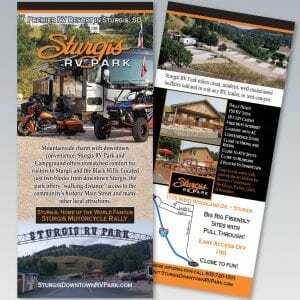 In the Black Hills area where tourism is widespread, many businesses have large displays of rack cards.